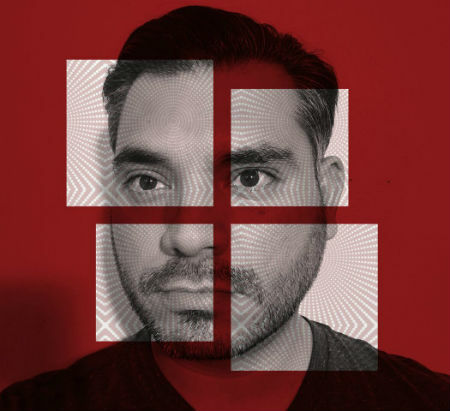 Forest Robots is the musical project of Francisco Dominquez. 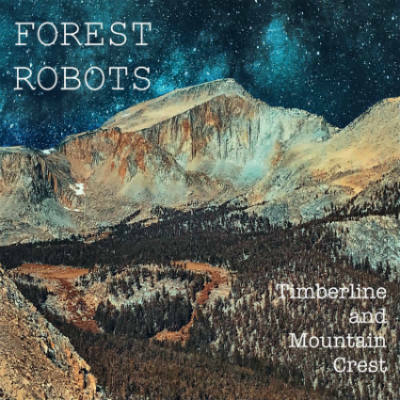 He describes the endeavor as being a “letter to his daughter about the wonders of nature.” The name “Forest Robots” itself offers a clue as to the nature of the sound of his latest album release titled Timberline and Mountain Crest. What’s immediately notable about the music here is that it strives to capture the spirit of the outdoors while not conforming to stereotypical tropes of what we’ve come to expect with “nature” music. Instead of the cliche, serene meditation music, wind instruments, and other bromides that one commonly encounters while perusing the tarot card section of an incense filled, New Age bookstore, we’re treated to futuristic synths and some genuinely stimulating ambiance. What “Forest Robots” seems to be telling us here is that the wonders of the outdoors are every bit as exciting (if not more so) as the latest smart phone technology that’s at your fingertips. In fact, the opening track, Sudden Bioluminescence sounds more like something you’d hear in a dystopian, John Carpenter science fiction film than what one would expect to be listening to on an office nature retreat. From my perspective, that is a very refreshing development. Another excellent example of this is On A Desolate Shore Under A Full Moon, which is subtly dark and captivating. It could even be considered a low-key dance track. The closest to a familiar kind of sound associated with outdoors on the album is the open and eloquent The Sun Rises Between Timberline And Mountain Crest, a song that embodies the quietness of the morning. The album covers all its bases and leaves the listener with a complete experience. The juxtaposition of the natural world with what is typically deemed futuristic music is a poignant concoction in that it provokes the listener to think of parks and public lands not as a weekend getaway or relic of the past to be appreciated, but something which should be thought of as an integral part of an exciting future.